Your Solution for Modern, Safe & Secure Self-Storage in Caboolture. Need to de-clutter your home or office? Are your closets overflowing with out-of-season clothing and accessories? Is that old mattress taking up space, but it’s still got some spring in its coils? Can’t part with those last few child’s possessions after they’ve moved out? How about that old but perfectly good refrigerator that you’ve been meaning to move out? If this sounds like you, then self-storage with Storage City is the perfect solution to your space-saving needs! 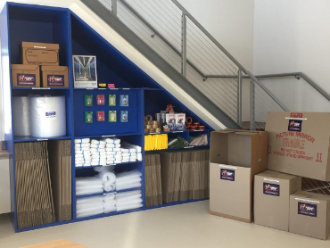 Our Brisbane self-storage facilities offer a variety of different unit sizes that’ll make it easy for you to safely and securely store your most valuable possessions. Determine the best unit for your storage needs. 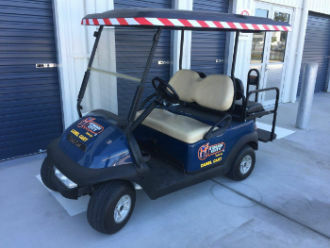 We even have a golf buggy to drive you to inspect our self storage sheds when you visit us. This is especially useful when it’s raining or if you have any accessibility issues. Modern security features, including 24-hour closed caption TV surveillance, individually alarmed units, and electronic access via your own PIN code. 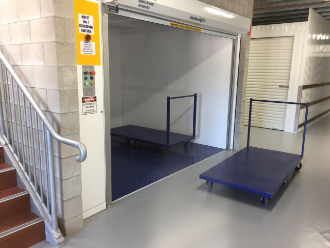 Our facilities protect you and your valuable possessions from the weather, making it more convenient and comfortable for you to access your goods during wet or very hot weather. Garage-sized units stay cool all year long, and insulated building help lessen the effects of summer temperatures on your stored goods and property.